The changing leaves of the black oak trees in Yosemite create a rich palette of yellows, golds, and greens which, along with contrasting dark trunks, present a host of stunning photo opportunities. 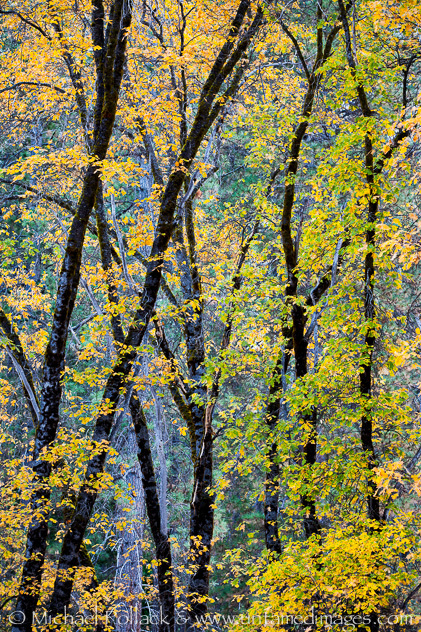 One of my favorite images from autumn 2012, this picture captures the unsung beauty of Yosemite. It’s not always about waterfalls and granite monoliths. This photograph was captured in the early morning, before any direct sunlight had made its way into the Valley, from a vantage point within El Capitan Meadow. 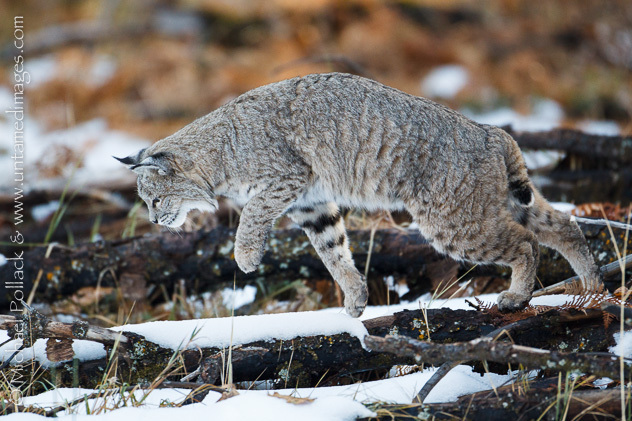 A bobcat launches a sneak attack on its prey in Yosemite National Park's Cook's Meadow.